Last year I completed my first PMC and it was an amazing experience. Looking back on that ride…I remember meeting our Pedal Partner Declan, watching the living proof riders peddling as hard as they did, sharing stories with the other riders and bonding through our personal motivations. These memories made me excited to once again take part in this amazing journey, so this year I am making a commitment to PMC 2018. As you might remember I dedicated my first PMC ride to my mom. After losing my mom in 2014 to cancer, I was looking for a way to raise awareness for cancer and the PMC was exactly what I was looking for, and more. With PMC 2017 not only did I feel like I finally did something for my mom, but I also realized that despite the fact that there are amazing improvements in science and medicine, we have a long way to go to beat cancer. 2017 was a year of broken records, amazing accomplishments, emotional opportunities, and heartfelt encounters. Of course it was also an incredible year of fundraising as the PMC raised a total of $51 million. Last year, PMC/Team Kermit (my team) numbered a total of 68 men and women, our largest team to date. We 68 Kermit’s, together, hand in hand and heart to heart raised a record $416,000 bringing that lifetime fundraising total to $3,522,000. PMC 2017 was both an exciting and humbling experience, but overall it allowed me to honor my mom. I am focusing on PMC 2018 with a fresh mind and a more optimistic focus. 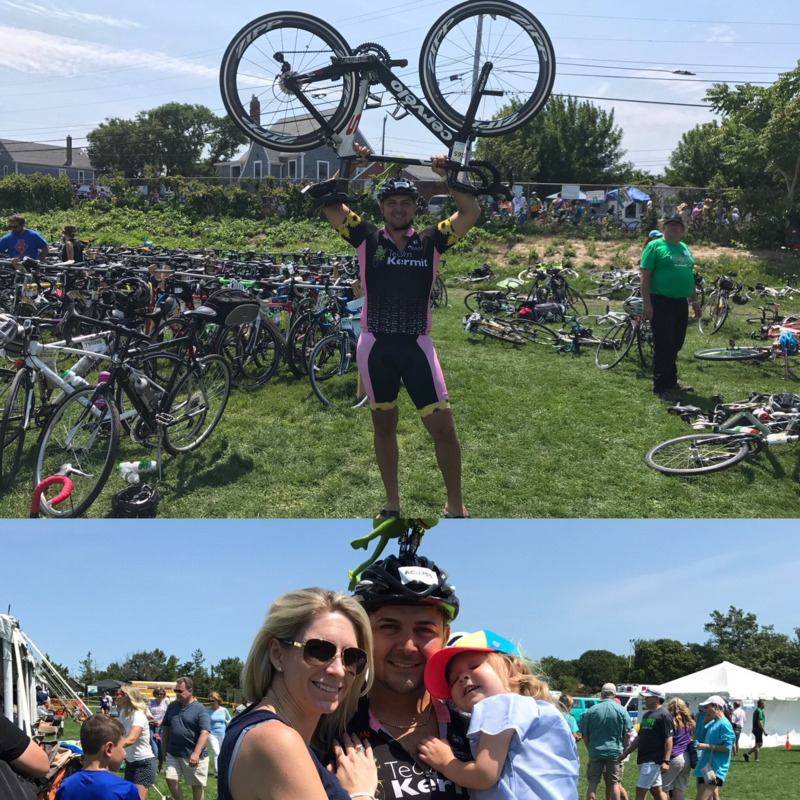 I am dedicating this ride to my beautiful family; my life partner, my beautiful wife Beth, my 3 year old daughter Isabel Alara and to the newest addition, my 4 month old son, Leo Poyraz. I am committed to doing everything in my power to make the dream of no more cancer a reality- no one, especially a child should battle this terrible disease. This year I am adding the Team Kermit special day zero to my challenge. In addition to the 192 mile route from Sturbridge to Provincetown, I will also be riding an additional 60 miles from my hometown Newton to Sturbridge with a few members of my team, bringing the 3 day total to ~ 250 miles. Similar to last year, I am looking to raise $7,800 and am asking for your help in achieving this goal. Any contribution you can make toward my ride would be most gratefully appreciated. The PMC is a way for me to honor my mother and celebrate my family but more importantly, a way for me to take part in this fight and help others. Please help me help others and let’s put an end to cancer. Donations are tax deductible and may be made online at http://pmc.org/egifts/AC0365. If your employer has a matching gift program, ask your Human Resources department for a form, and follow the process for matches. To learn more about the PMC, please visit pmc.org.